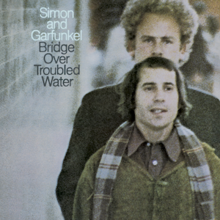 SIMON AND GARFUNKEL: BRIDGE OVER TROUBLED WATER: 1970: 5 STARS OUT OF 5 STARS: I had The Boxer in my head today- so why not listen to the album- the 5th and final album from Simon and Garfunkel. The album would go to #1-and have 4 Top 20 hits- The Boxer #7, Bridge Over Troubled Water #1, Cecilia #4 and El Condor Pasa #18. A great farewell album. They have toured a number of times since and released a couple singles but this is their final studio album. ALICE COOPER: GREATEST HITS: 1974: 5 STARS OUT OF 5 STARS: The Alice Cooper Bands Greatest Hits is always a fun listen. If I had a bluegrass band I would do a bluegrass version of Billion Dollar Babies. A bluegrass version of “Billion Dollar Babies”–I’d pay money to hear that. Wow. A lineup that I like…all of them! Bridge Over Troubled Waters was the theme song to my aunt & uncle’s wedding in 1972.